If you're using a fitness tracker or GPS running watch to get fit, there are loads of ways to make your sessions even more rewarding. That's where this list of tips, tricks and advice from our fitness experts come in. From improving the accuracy of your devices to interpreting the data better – you've got the power to give your New Year routine a real shot in the arm. 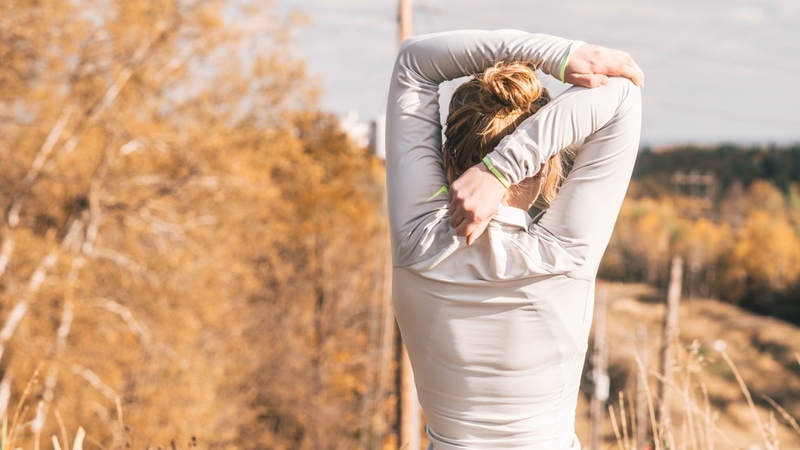 You still have to put in the hard yards no matter which wearable device you're rocking on your wrist, but thankfully there are ways to gameify your exercise and remain motivated. Calibrating your fitness band is optional, but it's recommended for improving the accuracy when it comes to measuring the distances you've travelled. Most fitness trackers will have their own method of calibration, requiring you to log a set distance, but it's worth checking the set-up and taking the time to do it. It's impossible for us to list all methods for every device, but here are instructions for how to calibrate a Fitbit, as an example. If you're already a bit of a fitness fanatic by the time you've bought your new running watch or fitness band, the chances are that you'll have tried other fitness platforms, such as Strava, Endomondo and MyFitnessPal. These kinds of services will play nicely with pretty much any running watch or smartwatch – so why not hook one up for more data and insights? Fitbit, Garmin and Polar all have the option to hook up to Strava – which is the favourite service here at Wareable, and has the power to add a new dimension to your training through Segments, performance comparisons and much more. Each service connects differently – usually via the settings menu within the app – but check out our guide to connecting Fitbit to Strava. If you use a Garmin, here's how to connect a Garmin to Strava. That fitness gadget you're about to fork out for is going to have to live on your wrist or about your general person 24/7 to really make it a useful fitness aid. This may sound obvious, but make sure you're investing in something you're happy to wear every day. If it gets irritating, that'll be the beginning of the end. Also consider whether the wearable has the option for interchangeable bands to reduce the chances of getting stuck with a band you just don't like wearing. It's important to make sure you've put in accurate personal info for height, weight, age and gender. These will all be used by your fitness tracking wearable to estimate things like calorie burn and recovery time. This is likely to be found in the profile section of the partnering web tools or smartphone app for most trackers. Before you set off on your training programme, it's a great idea to assess your current fitness levels. Apps like Endomondo and multi-sport watches such as the Polar M200 have pre-programmed tests you can do using your watch or smartphone and a heart rate monitor. These will give you benchmark stats you can use to see how your fitness compares against the average. You can then do one of these tests weekly or monthly to monitor your improvement. As we've pointed out in our guide to heart rate training, you must have a goal for when you work out. Every session should have a goal, which feeds into weekly goals, which feed into larger goals. For example, the big goal might be running a 10K race in three months, but along the way you should have smaller ones built in, such as a PB at your local 5K Park Run, or adding a mile to your longest run with a friend. Heart rate training can also help you decide on goals: aiming to complete your session at a certain bpm is a worthwhile aim for a session. Plenty of wearables have goal tracking built in, and you can build schedules in apps like Garmin Connect, Strava and Polar Flow. Remember, keep those goals achievable and regular or you'll simply get demoralised. Knowing your beats per minute (bpm) during exercise is the best way to ensure you're getting the training effect you want. It's also good to see when you're perhaps overreaching yourself and can help you be more objective about how tired you are. Take some time out to find your bpm for a level of exercise where you can just about hold a conversation. That's your threshold bpm, and long steady runs should stay at that level, rather than pushing for a particular pace. It's easier and just as beneficial. Check your tracker's user guide to see if you can add your own heart rate zones instead of settling for the default zones. The more personalised data you can add, the more accurate your results will be – and that means you can make each training session more effective. There are some great wearables out there that can give you lots of hidden insights into your running form. From the Garmin Running Dynamics Pod, watches like the Garmin Forerunner 935 and devices like the award-winning Stryd, all of these fitness gadgets provide running dynamics data to help you improve your running cadence, stride length and overall running form. The Moov Now fitness tracker is one of the few devices to deliver those insights in real time if you want to make changes during your training session. Gyms are beginning to play nicer with wearables that you own. From MyZone's heart rate chest strap being used for classes to using your Apple Watch and the new GymKit feature to sync the smartwatch with gym equipment. That will then allow you to merge distance and incline data from the treadmill, with heart rate data for a complete picture of your session. Technogym has smart gym equipment that works with the MyWellness Key activity tracker to log your sets and reps on each machine. It'll also tell you which machine to move to next once you're done with your current set. All of this data is fired directly to the MyWellness Cloud so you and your trainer can review, tweak and improve your training with ease. There are also more wearables better equipped for gym workouts. The Nexus is a wearable made for CrossFit, while Garmin's latest wearables can count your reps. Platforms like Strava do a better job of pulling this data in too to give you a more comprehensive overview of your fitness. Heart rate monitoring isn't just for runners, cyclists and aerobic fitness fans, strapping on a Polar H10 or a Wahoo Tickr X for strength sessions is just as useful. While long distance runners can get away with wrist-based HR, the flexing of arms during a weights workout renders them next to useless. Gym bunnies should invest in a chest strap, so you'll be able to monitor recovery times in between sets of weights and get a far greater idea of how hard you're working when you hit the squat rack. Unless you've had lab tests to ascertain how much energy your body gets at different heart rates and that information is all plugged into your fitness tracker, the calories burned number you see on your wrist isn't going to be more than a guess. Wearables that pair with heart rate monitors can make it more precise, but you'd need to be heart rate tracking all day. So treat that calories burned figure with caution. If you're just starting out on a fitness plan, one easy tip is simply to move more often. Lots of fitness bands like the Fitbit Charge 3 and Garmin Vivosmart 4 offer gentle reminders that let you know if you've been sitting still for too long. Research has shown that moving regularly is essential to your overall health and getting up for a short walk every hour will add to your overall fitness. There's been a lot of publicity for High Intensity Interval Training (HIIT) as a great way to get fit and burn fat fast, but using your heart rate monitor for some long, slow, low-heart rate running is a surefire way to burn more fat. Yes, this Low Intensity Training (LIT) might take longer, but you'll be working in the fat burn zone the whole time. Watches from the likes of Garmin and Polar and many others have options for audio of vibrating alerts. Setting these to give you a nudge when your bpm or pace rises or falls outside of the training zone you've set for your session will ensure that you stick to the plan and achieve the right training effect – in this case fat burn. If you're using a heart rate monitor, don't end your session the moment you stop running or moving. Instead, keep tracking for two or three minutes after your last effort. The stats you capture reveal a lot, like how long it takes for your heart rate to return to normal levels. This is a great sign of not only how hard you've worked out, but also how your fitness levels are progressing over a time. If you're a Fitbit user then earning badges is a good way to keep the motivation up once the novelty has worn off. There's a host of rewards available, and ticking them off can become a bit of an obsession. Garmin, Apple and Withings do the badges thing too, so it's not just about Fitbit. Climbing 20,000 flights of stairs gets you the Shooting Star badge and walking 1,997 miles earns you a Taj Mahal badge. Want the Nile reward? A total of 4,132 miles will get you the achievement named after the world's longest river. Check out our guide to Fitbit badges to find out more. For Garmin users, check our our guide to unlocking Garmin Connect badges. Community is a powerful motivator for fitness. Tap into your fitness tech's social side by following other users who are all trying to do what you're doing. Research shows that people who share their fitness data are more likely to stick to a fitness plan, so receiving support with likes and comments can really help. Seen someone run 5km in the time you're chasing and want to find out how they got there? Drop them a comment next to their activity and ask for advice to help make improvements. Some of the smarter wearables sync your workout stats over Wi-Fi or Bluetooth without you having to do a thing, but there's value in doing it yourself. By regularly reviewing your most recent workouts, you'll start to own your progress. The happy feeling as you see another hour session added to your month can get pretty addictive and will become a real motivator to keep working hard. Pretty much all fitness wearables come with their own smartphone app or web-based tools to help you track your steps, sleep, exercise and other vital statistics. But there are a number of third-party services like Exist.io and Fluxtream that can help you get more out of your stats, from comparing data feeds from different devices to digging deeper into patterns as they emerge over days, weeks or months. Although most running watches have their own apps and web tools for monitoring your progress, they're often not shareable or synced to your daily diary. Try using a Google Calendar to create a simple training calendar. Record a few simple bits of information like: resting heart rate, today's planned workout, what you actually did and how you felt. It'll build into a good overview of what training works best for you, plus these can be easily shared with a personal trainer, coach or running partner. During any training schedule it's tough to spot when it's time to ease off and rest. Wearable technology is changing this. Products like the FAM Sports CheckMyLevel, the Polar Vantage V and the Garmin Fenix 5 are able to use your latest workout stats to monitor your training load and recommend the optimal rest time and recovery period. Warming up and cooling down are essential parts of any training session, but they're all too easily fudged, cut short, or worse, ignored altogether. Your wearable can improve your approach to this vital part of your workouts. Most of Garmin and Polar's sports watches allow you to build warm up and cool down segments into your pre-planned sessions. These can be time, distance or heart rate based. We've all been there, standing outside the front door for five minutes while our GPS running watch searches for a satellite. Cut out the awkward waiting time by popping your watch on the window sill a few minutes before you plan to leave. More often than not it'll find a satellite and you can run straight from your front door. Arrived at your hotel to find you've left you fitness gadget's USB plug or your international adapter at home? Don't panic, you can simply stick the cable direct into the USB port on most new televisions and you'll get some vital battery life to power your workout.